Conversations with James Ellroy begins with a chronology which sets out the key dates and events in Ellroy’s life. It was my task as editor to compile this chronology. At first glance it did not seem particularly daunting as Ellroy has written two memoirs, several autobiographical essays and has discussed his life in hundreds, if not thousands of interviews. But the abundance of sources creates its own problems: there are contradictions regarding dates and places, making it apparent that some sources must contain inaccuracies that as an editor you don’t want to repeat. I also had to take into consideration that as a memoirist Ellroy tended to be vague regarding dates. I see two main reasons for this: firstly, in his early life Ellroy dropped out of high school, seldom held a job, went through periods of homelessness, struggled with alcohol and drug addictions, committed several crimes including burglary and shoplifting, and served short sentences at the Los Angeles County Jail. Given these circumstances, it is perhaps not surprising that there is a lack of documentation regarding Ellroy’s early life, and his own recollections are written in a fluid, stream of consciousness style. Secondly, Ellroy once conveyed to me that he was purposefully vague about dates, as he wanted to keep some things private. For an author who has bared so much of his soul over the course of his career it would be hard not to sympathise with his desire not to keep some elements of his life out of the public eye. Many readers may not be aware that James Ellroy was not born with that name, but was named Lee Earle Ellroy after his father. It was a name he would come to despise feeling it sounded too much like Leroy, and this hatred of his own name typified the luckless, self-loathing man he was for much of his early life. 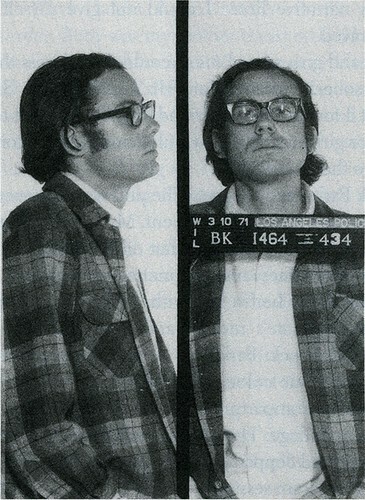 The purpose of this article is to look at the first thirty-three years of Ellroy’s life, although I skip some events due to the constraints of limited space, my aim is to set out as accurately as possible a historical record of the often frightening and disturbing life of Lee Earle Ellroy. Lee Earle Ellroy was born on March 4, 1948, in Los Angeles, California, the only son of Geneva “Jean” Odelia Ellroy (nee Hilliker) and Armand Lee Ellroy. Ellroy was born just over a year after the discovery of the mutilated corpse of Elizabeth Short on a vacant lot at 39th and Norton, Los Angeles, on January 15, 1947. Miss Short was dubbed ‘the Black Dahlia’ by the press, and her unsolved homicide would become one of the most enduring mysteries in Los Angeles history and a lifelong obsession for Ellroy, being the subject of perhaps his greatest work of fiction. For his eleventh birthday on March 4, 1959, Ellroy’s father gave him two books, an anthology The Complete Sherlock Holmes and Jack Webb’s The Badge. The Badge contained a ten page synopsis on the Elizabeth Short murder case and Ellroy was immediately fascinated. He saw the parallels between the Elizabeth Short case and his mother’s unsolved murder, and grew a greater understanding of his mother as a result. Although he could not know it at the time, the unsolved homicide would become the subject of his seventh and arguably greatest novel The Black Dahlia (1987). While taking the Army oath, Ellroy realized he was making a big mistake. He started faking a nervous breakdown by stuttering, then tearing his clothes off and running naked through the Fort Polk, Louisiana, reception station. Here’s a guy who looks exactly like me, has a German-American background, likes classical music, came from my old neighborhood, gets involved with a bunch of caddies. All that’s me. Lee Earle Ellroy officially ceased to exist. James Ellroy would become one of the greatest American crime writers. Conversations with James Ellroy is available to buy on Amazon.co.uk and Amazon.com. Great stuff Steve! Congratulations! Ellroy is one of my all time favorite writers and this looks like a great read. Good luck- I hope it sells a million. I really enjoyed putting the book together so I’m hoping people will enjoy reading it. James Ellroy is a very scary, unhinged man. I saw a Bio of him and he evens sounds scary. I never understood the sexual connection along with the hate for his Mother? I think he could be very dangerous. I think Ellroy is often performing when he is at his most unhinged. It takes enormous discipline to hone the sort of writing talent he possesses. Although he has been through traumas few of us could imagine, my personal experiences of him make me think that he is kind and encouraging to young writers and not in the least bit scary. I viewed Ellroy’s arrest records at the Ellroy archive, Thomas Cooper Library, University of South Carolina. You must seek permission from Ellroy before you view any documennts in his archive. I’m not sure what the LAPD procedure is ordinarily but Ellroy has a very strong relationship with them now so perhaps they made an exception for him. His mugshot has also been reprinted in at least one of his books.